While the decision is said to be based solely on financial considerations and not on the environment or climate change, a divestment by an investor worth more than $1 trillion would be a major blow to polluting fossil fuels. Norway's central bank, tasked with managing the mammoth fund -- commonly referred to as the "oil fund" but formally known as the Government Pension Fund -- made headlines in November 2017 when it called for the divestment of oil stocks in order to reduce the Norwegian state's exposure to the volatile oil sector. "This advice is based exclusively on financial arguments and analyses of the government's total oil and gas exposure," the bank's deputy governor Egil Matsen said at the time. It "does not reflect any particular view of future movements in oil and gas prices or the profitability or sustainability of the oil and gas sector," he added. In Norway, the biggest hydrocarbon producer in western Europe, oil and gas represent almost half of exports and 20 per cent of the state's revenues. All revenue from the state-owned oil and gas companies are placed in the sovereign wealth fund, which Oslo then taps to balance its budget. In order to limit the state's exposure in the event of a steep drop in oil prices -- as was the case in 2014 -- the idea would be to no longer allow the fund to invest in oil stocks and sell its existing holdings. Given the sums involved, a divestment would likely take years, but it would be seen as a clear victory in the fight against global warming at a time when the world is at pains to meet its Paris treaty goals. While the climate change aspect is not officially part of Norway's justification for the move, a sell-off would "obviously be very important", said Greenpeace, which has campaigned for divestment for years. 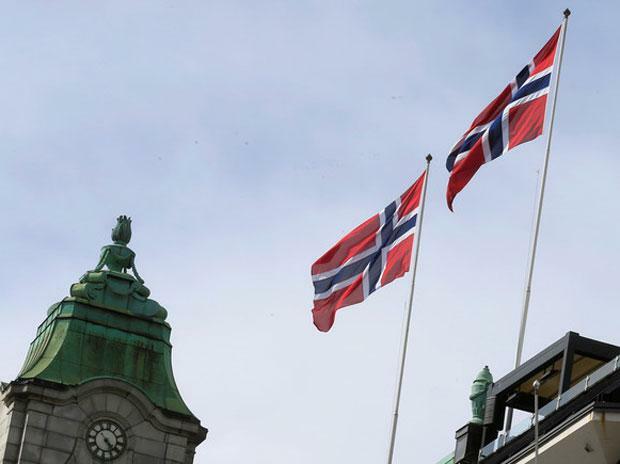 Norway "could be a role model and show that it is entirely possible to have a fund that both makes money, with moderate risks, and stays out of oil and natural gas," said Martin Norman of Greenpeace's Norwegian branch. Last year, a panel of experts appointed by the government advised against divesting oil stocks, arguing it would only have a marginal impact on Norway's oil exposure. But business newspaper Dagens Naeringsliv reported on Thursday that there are indications the rightwing government is nonetheless leaning in that direction. Friday's announcement is scheduled just hours before the annual congress for the Liberal party, a junior member of the coalition currently struggling in the polls and in need of a political victory to boost its popularity. The decision is also important given the fact that the positions taken by the fund -- which controls 1.4 per cent of global market capitalisation -- are closely watched by other investors. In another significant move, the fund has already pulled out of the coal industry, both for environmental and financial reasons.